Parents, you’ve got some summer reading to do. How can we keep our kids engaged and continue healthy brain development when school is out? Through reading! Summer reading isn’t just for students. Our summer reading list for parents gives you the opportunity to cultivate a stronger connection with your child. 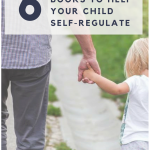 As well as improving emotional regulation and confidence for your child and within yourself. » Read more..